U.S. and Canadian courts have approved the sale of some 6,000 patents and patent applications from bankrupt Nortel Networks to a consortium of companies known as Rockstar Bidco. The four-day auction in New York closed with a price five times the stalking-horse bid, the $900 million initially offered by Google, putting the final sale at $4.5 billion after 19 rounds of bidding. That's a few more billions than anyone expected just weeks ago, so why the sudden interest? For one thing this is among the largest intellectual property portfolio ever sold, covering data networking, wireless, optical, voice, semiconductor and service-provider technologies, which gives its owner a major shield against potential lawsuits from direct competitors or patent trolls. Google had hoped to buy the portfolio to discourage other companies from suing their Android partners and benefit the open-source community. 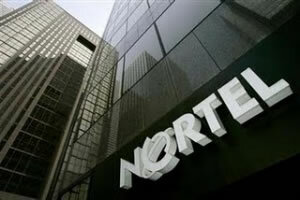 But a few other companies were after Nortel's IP as well, including Intel, Microsoft and Apple. The latter two joined forces after five rounds of bidding as part of the Rockstar consortium, which also included EMC, Ericsson, Research In Motion and Sony. By the sixth round of bidding Intel dropped out of the game, but later joined Google and together stayed in the auction until the 19th round. Ultimately Rockstar won the auction, though, and if recent developments are any indication this could spell trouble for Android's growth. You see, Microsoft's Steve Ballmer has always maintained that Android is not free, as it uses technology for which licenses should be paid for. The company has already been successful in extracting fees from a handful of Android manufacturers, including HTC, and is currently seeking a similar deal with Samsung. Besides potentially cashing out on a few million dollars worth of patent fees, the move should make Android a less attractive platform for handset makers. Needless to say, whatever slows Android's growth is also good for Apple, which explains why the company was willing to go to great lengths to grab the patents out of Google's paws. Unsurprisingly, Google is not happy. "This outcome is disappointing for anyone who believes that open innovation benefits users and promotes creativity and competition. We will keep working to reduce the current flood of patent litigation that hurts both innovators and consumers," Kent Walker, Google’s Senior Vice President and General Counsel said in a statement to the press.